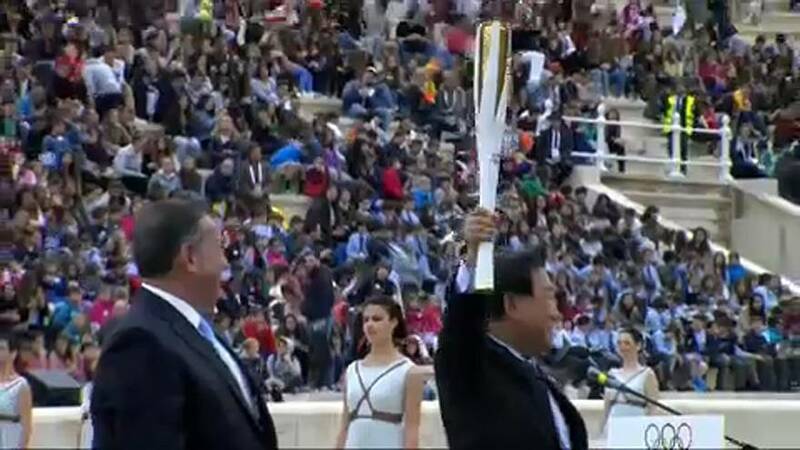 Greece has handed over the Olympic Flame to South Korea in a ceremony in Athens for the 2018 Pyeongchang Winter Games. The colourful ceremony in the Panathenaic Stadium reflected both Greek and South Korean culture. Performances from the Greek gymnastics team, included choreography based on the concept of the wolf and South Korea presented their won version of the official Torch Relay song. The Olympic Flame reached the Stadium with the help of 505 torchbearers taking it from Ancient Olympia to Athens. The last torch bearer was Greek alpine skiing champions, Ioannis Proios, who lit the cauldron. The torch is due to arrive in South Korea on November 1 for a 2,018km relay before reaching PyeongChang for the opening ceremony on February 9th.